It is a sad fact that although many people seek to join the Police, many of these people will fall down at the very first hurdle. This hurdle is the police requirements and eligibility form. Hopefully by this stage you will have decided whether a Police career is for you. Before someone even applies to their local Police Force they must first complete the Police eligibility form. This form seeks to assess candidates against a variety of criteria and Police requirements, some of which many people do not meet. As well as allowing some Police forces to narrow down the number of candidates that complete their application forms during the recruitment phase, many of the criteria that need to be met are essential to being able to carry on the role of a Police Officer effectively. After all being a police officer is a position of immense power, where the select few have the ability to remove other peoples freedom. 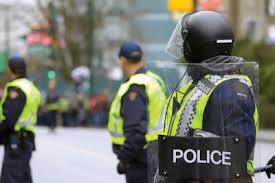 Police requirements for residency – do you need to be British to join the Police? Firstly police forces in to find out about the candidates nationality and residency. Police forces do not simply take on British candidates, so if you’re not British then you can still join the Police. They do however require that candidates have been a resident in the UK for at least three years prior to completing the application form. Police requirements for age – How old do you have to be to join the Police? Police requirements for tattoos – Can Police Officers have tattoos? Due to the nature of the role, it is important that the Police always maintain a professional image that isn’t going to cause offence to others unnecessarily. It is for this reason that Police Forces place restrictions on where their Officers are allowed to have tattoos. Tattoos of an offensive or discriminatory nature are not tolerated whatsoever. For example, if someone has tattoos that are religiously or morally offensive in any way, then they will not be able to join their chosen Police force regardless of whether the tatoo can be seen on their body. In a similar fashion visible tattoos on the face, above the collar line or on hands are also not tolerated within most Police forces. Any other tattoos that a person has must be out if site and hidden under uniform, these types of tattoos can sometimes be accepted. However, photographs must be taken that clearly show the position of the tattoo on the body. Police requirements for disabilities – Can people with disabilities or health issues join the Police? Police forces are required by law to consider applicants with physical disabilities. Adjustments can sometimes be made at the assessment centre to accommodate a candidate’s abilities or health issues. However you should contact your local force the specific details and requirements. What other factors can stop people from joining the Police? Police Officers must be up-standing members of the community, their integrity must not be able to be called into dispute. It is for this reason Police forces have requirements that candidates must meet. For example, a Police applicant must not have previously been a member of the BNP. Criminal convictions may also rule candidates out of the application process, however it is still worth checking with your Police Force first, as some of them may be taken into consideration.